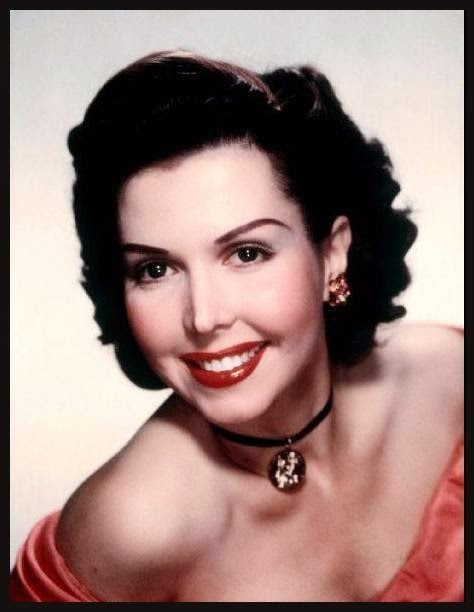 Johnnie Lucille Collier (1923 – 2004), known professionally as Ann Miller, was an American dancer, singer and actress. 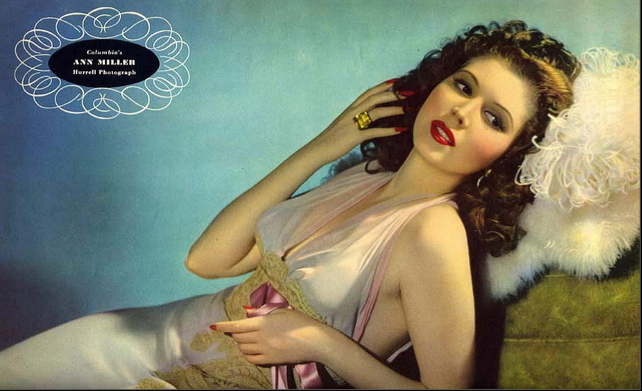 She is best remembered for her work in the Hollywood musical films of the 1940s and 1950s. Miller was born in Chireno, Texas. She began to take dance classes at the age of 5, after suffering from a case of rickets. Her mother believed that these classes would help strengthen her young daughter's legs. She lived in Texas until she was 9, when her mother decided to leave her unfaithful husband and move to Los Angeles. Because Miller looked much older than she was, she began to work as a dancer in nightclubs. 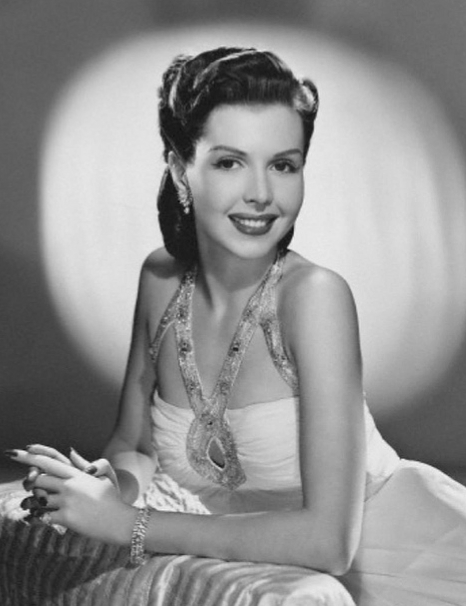 About this time she adopted the stage name Ann Miller, which she kept throughout her entire career. She was considered a child dance prodigy. In an interview featured in a "behind the scenes" documentary on the making of the compilation film That's Entertainment III, she said that Eleanor Powell was an early inspiration. 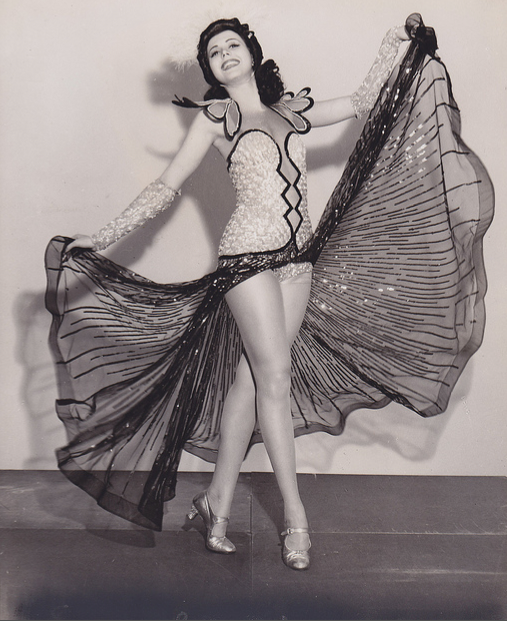 At age 13 in 1936, Miller became a showgirl at the Bal Tabarin. She was hired as a dancer in the "Black Cat Club" in San Francisco (she reportedly told them she was 18). 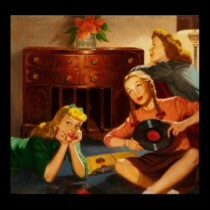 It was there she was discovered by Lucille Ball and talent scout/comic Benny Rubin. This led Miller to be given a contract with RKO in 1936 at the age of 13 (she had also told them she was 18) and she remained there until 1940. 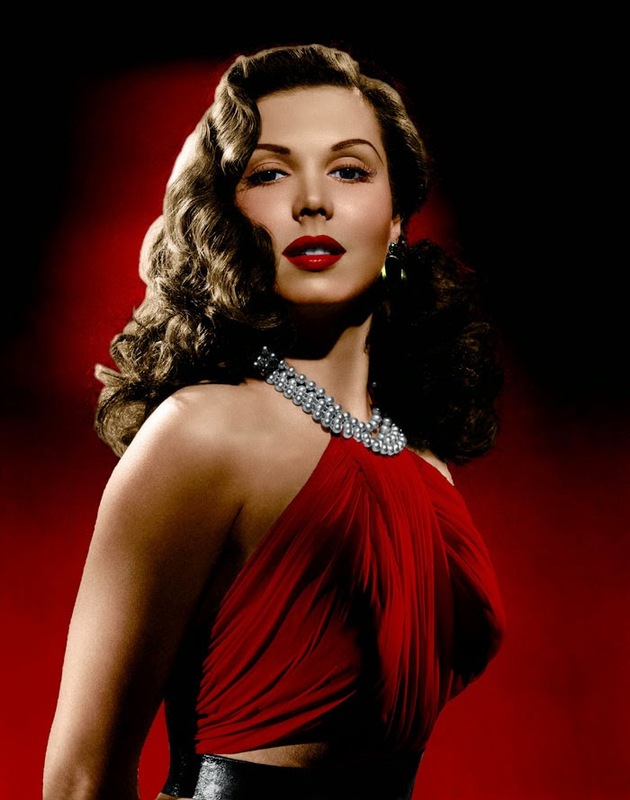 In 1941, she signed with Columbia Pictures, where, starting with Time Out for Rhythm, she starred in 11 B movie musicals from 1941 to 1945, ending her contract in 1946 with one “A” film, The Thrill of Brazil. The ad in Life magazine featured Miller's leg in a large, red, bow-tied stocking as the "T" in "Thrill." 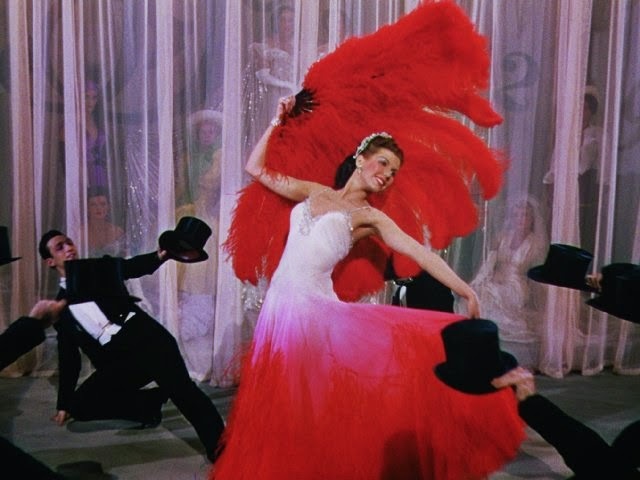 She finally hit her mark in MGM musicals such as Easter Parade (1948), On the Town (1949) and Kiss Me Kate (1953). 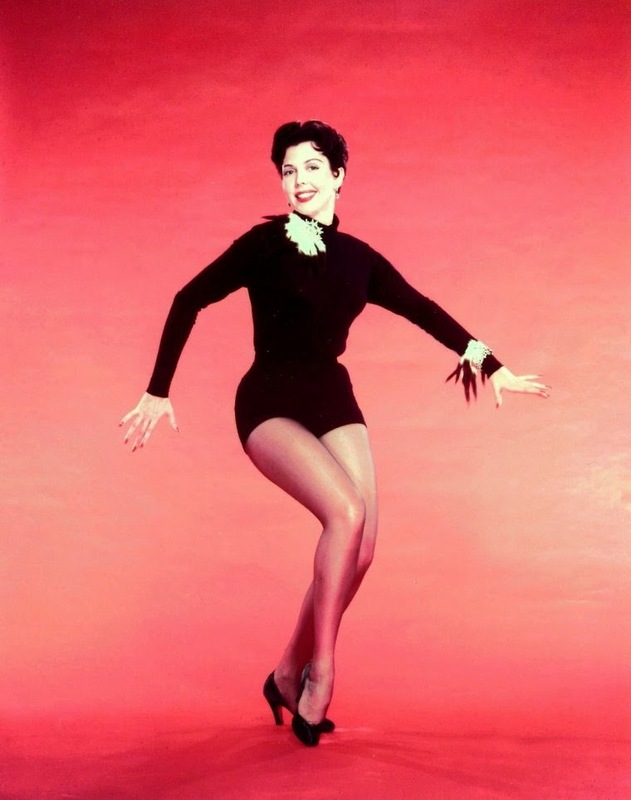 Miller was famed for her speed in tap dancing. 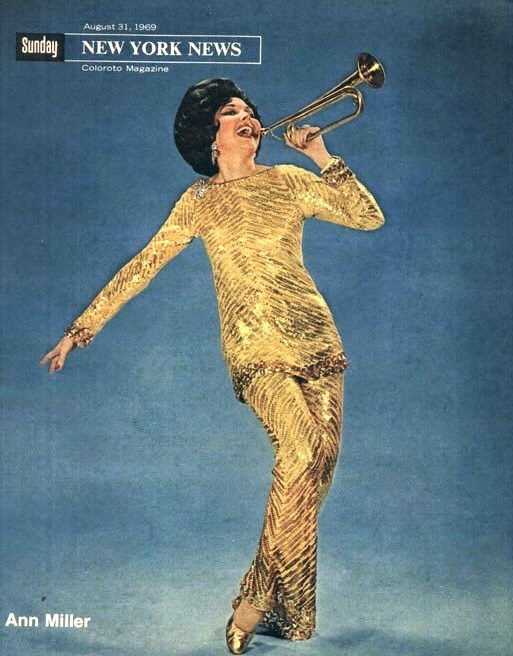 In 1970, satirist Stan Freberg used Miller and her tap-dancing skills in a television commercial for "Great American Soups." The commercial can be seen on the video accompanying Freberg's boxed set release, The Tip of the Freberg. 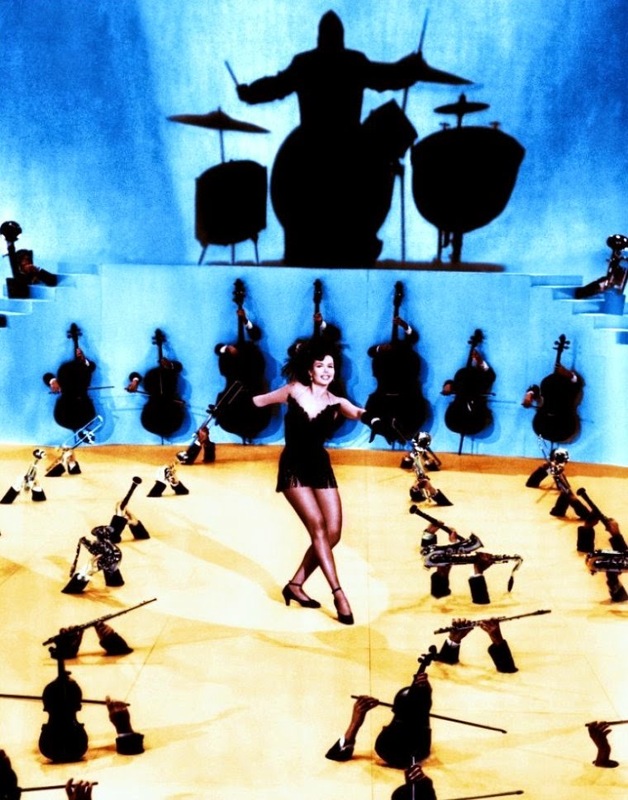 She was known, especially later in her career, for her distinctive appearance, which reflected a studio-era ideal of glamor: massive black bouffant hair, heavy makeup with a slash of crimson lipstick, and fashions that emphasized her lithe figure and long dancer's legs. Her film career effectively ended in 1956 as the studio system lost steam to television, but she remained active in the theatre and on television. She starred on Broadway in the musical Mame in 1969, in which she wowed the audience in a tap number created just for her. In 1979 she astounded audiences in the Broadway show Sugar Babies with fellow MGM veteran Mickey Rooney, which toured the United States extensively after its Broadway run. In 1983, she won the Sarah Siddons Award for her work in Chicago theatre. She appeared in a special 1982 episode of The Love Boat, joined by fellow showbiz legends Ethel Merman, Carol Channing, Della Reese, Van Johnson, and Cab Calloway in a storyline that cast them as older relatives of the show's regular characters. In 2001 she took her last role, playing Coco in auteur director David Lynch's critically acclaimed Mulholland Drive. Her last stage performance was a 1998 production of Stephen Sondheim's Follies, in which she played the hardboiled survivor Carlotta Campion and received rave reviews for her rendition of the song "I'm Still Here". Miller appeared as a dance instructor in Home Improvement episode "Dances with Tools" (1993). For her contribution to the motion picture industry, Miller has a star on the Hollywood Walk of Fame at 6914 Hollywood Blvd. In 1998, a Golden Palm Star on the Palm Springs, California, Walk of Stars was dedicated to her. To honor her contribution to dance, the Smithsonian Institution displays her favorite pair of tap shoes, which she playfully nicknamed "Moe and Joe". 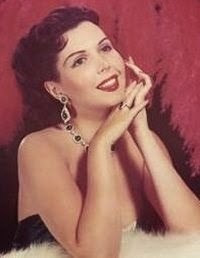 Enjoy Ann Miller's legendary dancing and beauty!